"My first start and scoring two goals, it's a good feeling", Bolt said after the game. 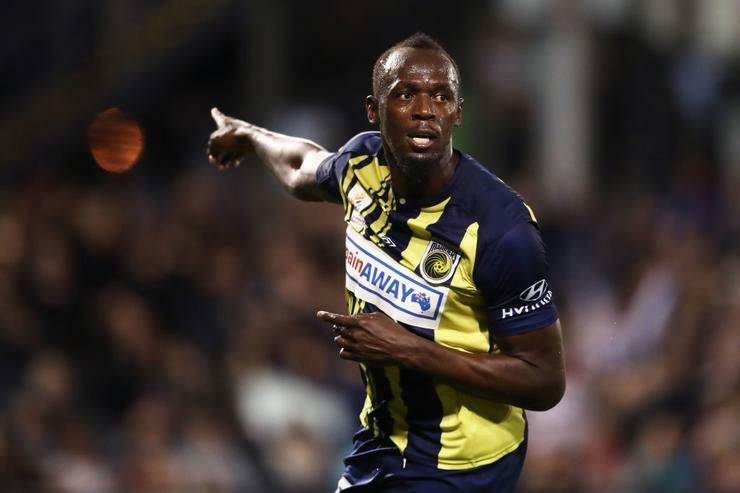 Again sporting the No 95 shirt - a reference to his world record time over 100m - and playing up front, Bolt started a match for the first time, following on from his 20-minute cameo off the bench for the Mariners over a month ago. The first goal, which is below, saw Bolt take a touch, run a bit and hit a low, crawling shot towards the goalkeeper, who somehow dove slower than the ball was moving and conceded. The hosts should have levelled through Glen Trifiro, but he fluffed his lines and fired a rushed effort over the crossbar from 12 yards. The Jamaican eight-time Olympic sprint champion scored the Mariners' third and fourth goals against Macarthur South West and celebrated with his trademark lightning bolt celebration.